To foster an appreciation of film among students, the newly founded Film Club looks to create a strong community of filmgoers through watching, discussing, and analyzing film. Senior president Brandon Lien and senior vice president Brandon Tran both initially developed a passion for film after taking a film class taught by drama teacher Patrick Posada. However, Tran said that he did not want this passion to be limited only to the classroom. “This passion of ours inspired us to restart the film club in hopes of meeting new people who share the same passion as us,” Tran said. 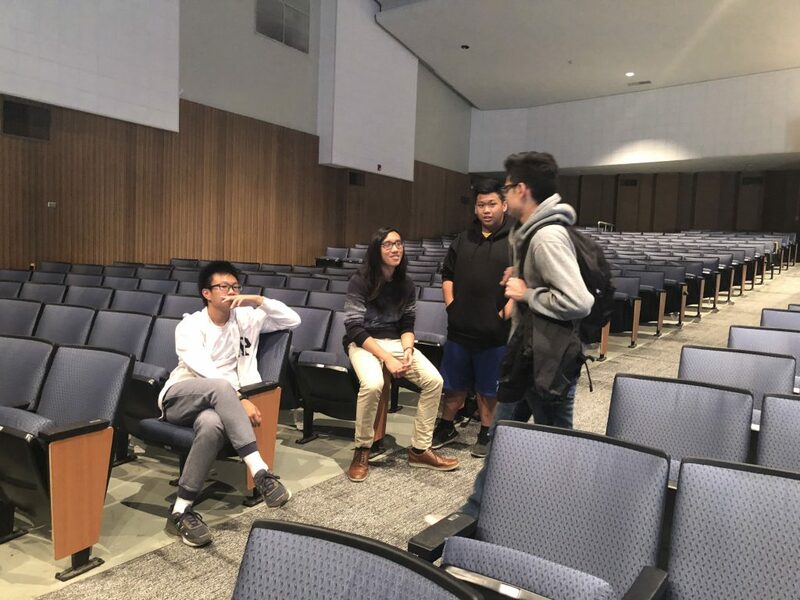 Lien also shared the same sentiment and said that the emotional response that can be evoked through film should be shared amongst the rest of the school community. “I think it’d be cool to open up the doors to what’s out there to those who don’t know much about cinema,” Lien said. Tran said that the club’s goal is not necessarily to create a strong passion for film. Rather, Tran said he simply wanted to expose others to more films that are typically not viewed in mainstream media. Besides learning to appreciate film, Tran also wanted the club to create a community where others could bond over a common interest. Lien said that, personally, he would consider the club a success even if only a few people were to be strongly affected by film. Looking into the future, Film Club hopes to host various screenings of seasonal movies that act both as fundraisers and as a way for others to connect over film. Additionally, the club aims to collaborate with band in a screening of a silent film. “The plan is to screen silents with live music accompaniment [by band], hearkening back to how they were screened back then,” Lien said. Meetings are every Tuesday during lunch in the Little Theatre.